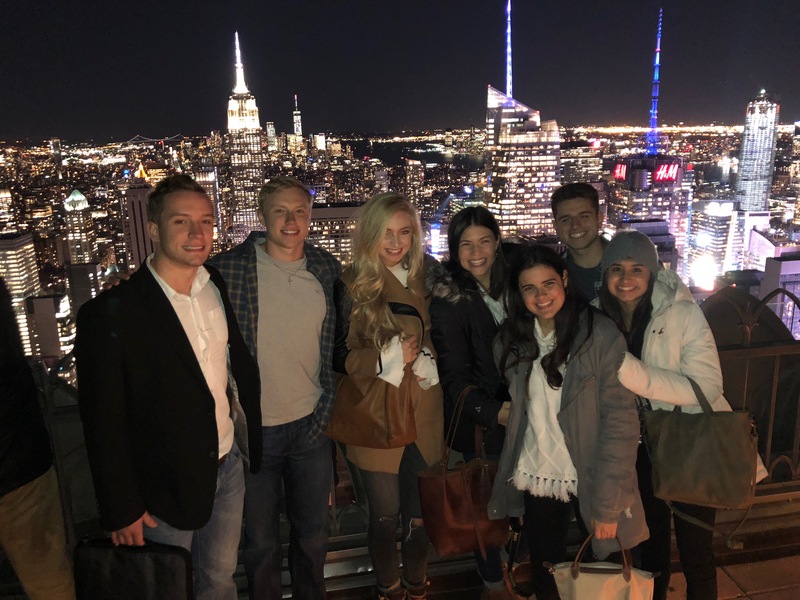 This past October, I had the opportunity to accompany seven students on a trip to New York City. The focus of our trip was to explore the entrepreneurial ecosystem in the City. We had the opportunity to visit several different parts of the ecosystem: from entrepreneurs to investors to non-profit startups to cutting edge co-working and accelerator spaces. Each visit provided unique insight into the journey of an entrepreneur or startup. In the two week days we spent in Manhattan, we had a chance to meet with venture capitalists firms: RRE Ventures and Lux Ventures. We toured two co-working/accelerator spaces: RiseNY (a program created by Barclays, focusing on fin tech or financial technology focused startups) and Alley New York, which is creating a platform for the new economy, offering rentable work spaces, 5G internet hosted by Verizon, networking events and an array of services designed to meet the needs of the modern entrepreneur. 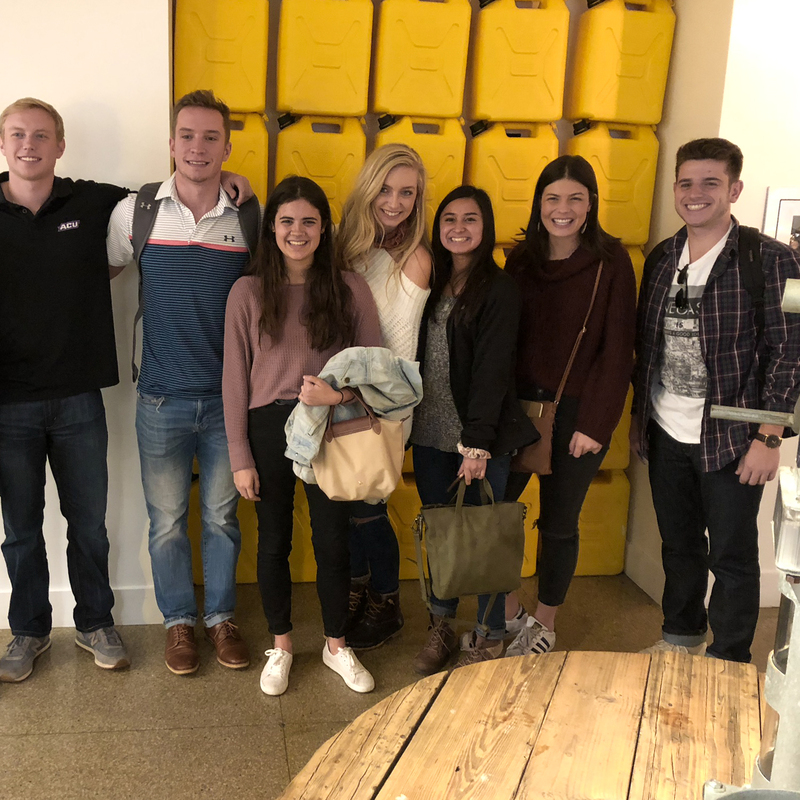 We rounded out our trip with visits to two startups – a for-profit creative agency, DressCode and a non-profit organization, Charity:Water. Each person we visited with was gracious and patient, taking time to really explain their job, the ins and outs of their company and how it fits in the entrepreneurial ecosystem. Our days were busy, with lots of walking (the weather was perfect!). After each visit, our brains werebuzzing – all the walking allowed us to download and discuss each visit and what we’d learned and what questions we’d wished we’d asked. Walking also allowed us to sight-see while we traveled from one visit to the next and I think really gave us all a great taste of what it would be like to live and work in NYC. 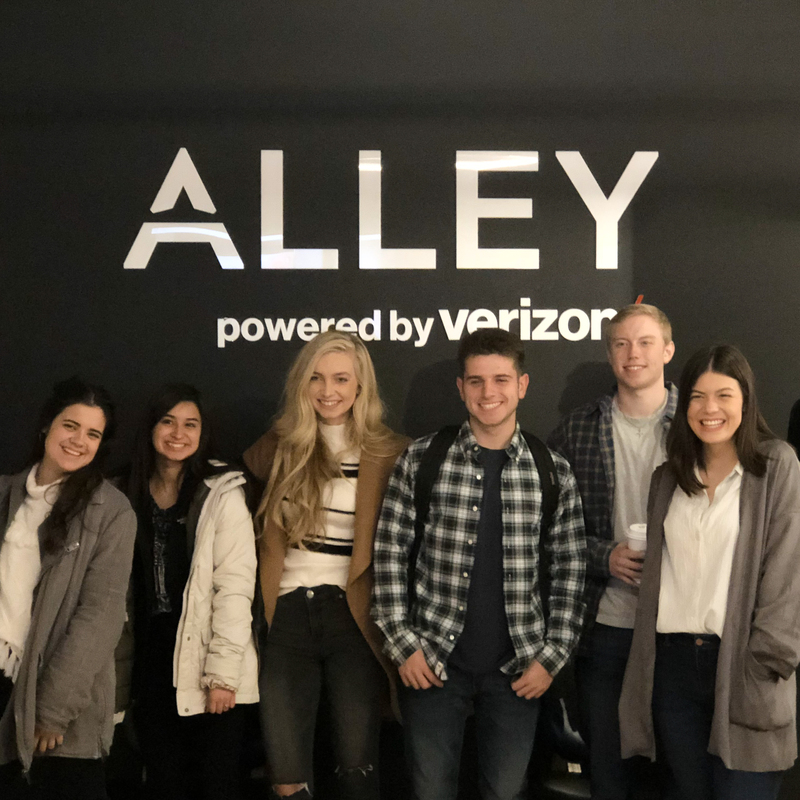 For the last several years, the Griggs Center has hosted a trip to Silicon Valley – the undisputed hub of entrepreneurism, providing students a chance to visit the banks, investment firms and tech start-ups that they hear so much about in their classes. We are excited to offer a New York trip now, as well, offering our students another opportunity to learn and network in the real world.